A while back, I wrote a piece all about how to ensure that your jam sets. However, even when you keep all those tips in mind, there’s still a chance that you’ll wind up with a poor set. Here’s what you can do to salvage that jam. If you don’t want to invest any additional work in that jam, all you have to do is change expectations. If it’s just sort of runny, call it preserves. If it’s totally sloshy, label it syrup and move on with your life. However, if you’re committed to getting a nice, firm, jammy set, there is still hope. Here’s what you can do. First, you wait. Give the jam 24-48 hours to set up (because truly, sometimes it can take that long for pectin to reach the finished set). If it still hasn’t set, it’s time to determine how much jam needs to be recooked. You don’t want to remake more than 8 cups (4 pints) at a time. For every 4 cups of jam that needs to be remade, whisk together 1/4 cup sugar and 1 tablespoon powdered pectin. Pour the jam into a low, wide pan and add the sugar and pectin combo. Stir until the sugar and pectin has dissolved. At this point, prepare your canning pot. Clean the jars and prep new lids. Place the pot on the stove over high heat and bring the jam to a boil. Cook vigorously for 5 to 10 minutes, stirring regularly. Look for signs of thickening. Test set using plate or sheeting test (both described here). When jam has reached the desired thickness, remove pot from heat. Pour jam into prepared jars. Wipe rims, apply brand new lids and screw on the same old bands. Process in a boiling water bath canner for the amount of time requested in the recipe. When processing time is up, remove jars from bath. Let jars cool and then test seals. Note: I have closed comments on this post because I am not able to offer jam set solutions on an individual basis. The instructions above should resolve most underset jams. For more on the topic of underset jams, read this post. Okay- what can you do if your jam sets up too much? So wishing I could hit the rewind button on strawberry season…. Sadly, there’s not a whole lot you can do to save over-set jam. You can slice it up and call it pate de fruit (good with regular cheese, bread and charcuterie). Just before you plan on serving, you can also melt it down with a little bit of water. Or you can use it as the filling in thumbprint cookies. It works well in that application. You can also melt it a bit in a saucepan, add orange juice, and stir it into plain yogurt. This is great! Does it apply to liquid pectin too? I thought that you couldn’t continue cooking after adding liquid pectin. I just canned some peaches and ended up with the simple syrup leaking out after processing (lack of headroom, I’m assuming). But, the lids have sealed. So, troubleshooting tips in this situation would be great too! It does apply to liquid pectin. You can cook jam after adding liquid pectin, in fact, it needs some vigorous boiling after adding. Sounds like you experienced something called siphoning. It’s totally normal and as long as the seals are good, you’re golden. I made peach jam using liquid pectin – followed your recipe actually – and the jam did not set. Should I cook jam again using the powdered pectin or liquid pectin? Or no pectin at all?? Jennifer, I’m so sorry to hear that your jam didn’t set. When did you make it? Jam can sometime take a week or more to achieve its final set. If it still doesn’t set after a week, you can recook it with a couple of tablespoons of powdered pectin. Thanks, Marisa. It’s only been 2 days but I’ve got a pretty good feeling I cooked too long after adding the pectin. I’ll wait the two weeks and if it still isn’t set then I’ll cook again with powdered pectin. What do you suppose makes a jam not set? I have a favorite recipe that I *always* use and the last time I did it, the jelly didn’t set up. I re-did it and it’s fine, but the reason it didn’t set up the first time is a mystery to me. Every year is different. More water or less water in the fruit. More or less humidity in the air. Size of the pot. Age of the pectin (if using). Age of the pectin! Aha! That must be it. Orange marmalade from our tree was fine last three years (first batch 4 yrs ago became syrup). Decided to make some two weeks ago – when I discovered some pectin in the back of the cupboard. Not set! Will get fresh pectin and do a remake. My first batch off grape jelly set well , but I dont no what happen to the other to batches.there like soup . hmmm…I’m gonna have to try this tip…thanks!!! I don’t mind syrup…but gosh darn it I want Jelly…elderberry jelly for a change. I keep trying and all I get is syrup LOL! The pate de fruit moniker will be perfect for the strawberry- balsamic jam I made that set too hard. I made some raspberry ‘syrup’ last year- and no one complained about that, so we’ll see about this new one. Most of the jams I’ve made have been no trouble, but it’s not a perfect science- or I’m not a perfect scientist, anyway! Thanks for the tip on re-boiling and adding pectin. i added jalapenoes to my last batch of strawberry-rhubarb and it overset…darnit…i was sooo hoping i could “re-do” the jam by putting the contents back into a pot with added fruit…a no go eh? “Change Expectations” is the best advice ever. You made my day! Yup, I’m all for the calling it “preserves” route. Usually any attempt I’ve made to get it to gel has ended in rock hard, sickly sweet jam, which is almost entirely useless (although not fully – I’ve cut a chunk off and put it in the boiling water before I add the porridge and that works well). At least on the runny side, it’s perfect for stirring into things and poured over things and the flavour is still intact. Besides, you’ll have something to lick off your fingers! I am a completely new canner, 🙂 I have had a BWB class & pressure canning class. I was hoping I would be successful with my first conserve recipe, NOT. I made the cranberry peach conserve from the Ball book on home preservng on Mon. & it is not set enough. People are telling me now I should have boiled it longer. I did like the recipe said, boiled it hard & added 2 pouches of liquid pectin it called for & boiled hard 1 min—–can this recipe be saved? lol My peaches were too ripe, dripping with juice so I imagine that is what is wrong. Should I add more pectin or just try to reboil it? BTW, I am taking a jam class Aug. 23 & won’t make anymore till then! lol Love your blog!! TIA! Thanks for this! A few years ago I had a bunch of apples that I juiced and then made jam with. I didn’t follow instructions and I didn’t do the whole jelly bag thing… it ended up not setting and I was fine with calling it syrup as you say. But about 8 months later, I went and opened up another jar and it had turned to jelly! Not sure how that all worked out, but I was amused! Wow, I never thought to re-can my jam. I usually just call it fruit sauce and serve over waffles or ice cream. With my latest “soft” batch, made with the instant freezer pectin, I think I will serve over some crepes. Should be yummy 🙂 Thanks for your informative posts. Hey Marisa, this is really useful as I was just wondering the other day what the heck to do with all them cherry tomatoes from our garden! So far I’ve only thought of pickling. I’ve pickled larger red tomatoes in the past since this is a Russian classic, but those were not refrigerator kind but the long-term kind, which were processed after adding the brine for a while (can’t remember how long), making them taste just as though they’d been blanched (the desired effect, in my case). Oops – I posted this on the wrong post – I meant to post it on the cherry tomato one. I had runny sour cherry preserves this year and they didn’t set up. My solutions is sauce for dessert or breakfast (like you said and get over it, it is still delicious) or just simmer it a few minutes WHEN I open the jar to use and return it back to the jar thickened and put in the frig. I have done this once and it worked well, just be careful not to overdo it. This way I didn’t have to reprocess. Love to can (not as much as you!) and love your site. I am actually outside of Philly in the western burbs. I just reboiled my peach-jalepeno syrup yesterday, and now I have quite a fine jelly! Thank you so much!!!! I’m new to canning (in fact, I have yet to can, waiting on my canner to be delivered). However, of all of the research I have done, this is by far my favorite advice yet!! I’m so glad you like that piece of advice. Thank you, I really enjoy your blog. How long can you wait to re “set” the jam? I made some jam this week and some of the smaller jars set up fine, but some of the larger jars are runny. I am going camping this weekend though and I don’t think I’ll have time to re-do them until I come home. Is that too long to wait? You can wait as long as you need. However, if the smaller jars set, I bet those larger jars will eventually set as well. Before you open them up when you get back from your trip, take a peek and see if they set up on their own. heya all…does this go for un-set jelly as well? I have a batch of grape jelly that set to the texture of egg whites, but several months later it hasn’t set firmly. After steam juicing my fruit, I freeze the juice and pulp until I have time to make and process the jelly/jam. I usually have a good set…but not this time…. Yes, the same technique applies to jellies. Is there really no time limit on redoing jam – I made grapefruit marmalade last winter and I have syrup. Didn’t use any pectin first time around. Also what does it mean if the upper portion of a jar of say peach jam is darker than the rest? Sorry two questions! Brandy, you could certainly try it with your marmalade. I can’t promise that it will work, but if you’re not using it as syrup, there’s no harm in attempting to reset it. And don’t worry about the darkening on your peach jam. It’s just natural oxidation. Happens to apricot jam too. You either need to add pectin, or you need to add enough sugar that you’re then able to cook the jam to around 220 degrees. Or cook it low and slow into a fruit butter. Otherwise, you’re going to have sauce. Been making jalapeno jelly…and loving it. Usually use liquid pectin…but this time made a dozen pint jars in two batches and used powdered instead. Used two boxes per six pint jars. Hasn’t set up enough. Thrilled I can open all the jars and fix it…but it says to add one tablespoon of pectin to the pot. How many jars and of what size will that fix? I guess I need to adjust that number…but don’t know what it was for so don’t know what to increase it to…if that makes sense. Also…is it really true I can’t reuse the brand new lids that I had put on the jars? Thanks so much for a hopefully quick reply. Steve, the problem here is that there’s no one formula that works for repairing all batches of jams and jellies. I would keep the batches separate and start with a tablespoon of additional pectin. Test the set as you cook and if it doesn’t seem to be setting add more. And it is true that you can’t reuse the lids. They’ve sealed and so the compound is now spent. Thanks for the help! My strawberry lemon marmalade did not set up, and I intend to use your tips to fix it. If it still doesn’t set, why, I have a very tasty topping for pancakes. Incidentally, here’s another tip for those of you with jam that is OVER set and rather firm: slice jam into small squares or rectangles with an oiled knife, dust in powdered sugar (or a combination of powdered sugar and cornstarch), and you have Turkish Delight! My friend started out to made plum jam and ended up with really wonderful plum candies, quite by accident! Can you remake it with no-sugar needed pectin? Thank you? I have only made jelly a few times, so I am not an expert. But I do have a question that I have not found the answer to. I like to make herbal jellies, mostly mint. 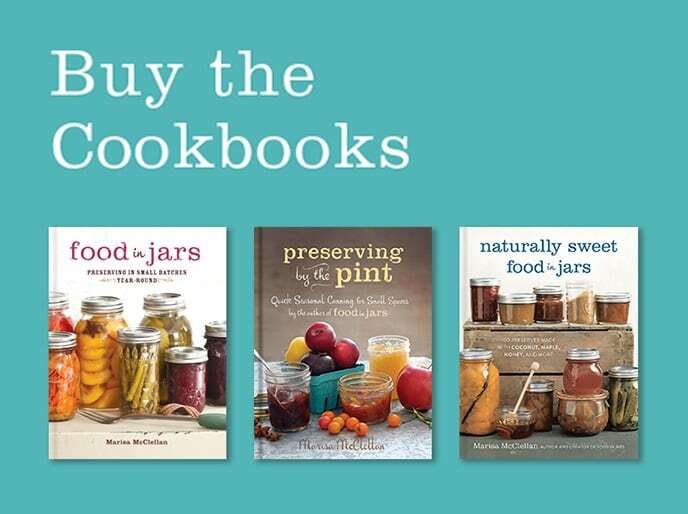 My recipe only makes a small quantity–only 4 8-oz jars (sometimes I put it in 4-oz. jars). But I like to give away the jelly to friends and family members, so I want to make a bigger batch. I know I can’t double the recipe or it won’t set up correctly. But can I make a batch and spoon the jelly into jars, put lids and bands on and load those jars in the canner of warm water and then wait until a second batch of jelly has been made and spooned into the jars and added to the canner to process it all at once? I would like to make jelly in two separate batches, one right after the other, and then process it all together, since my canner is very large and it seems illogical to process in separate batches when I can get so many jars in it at once. Is there any reason why that wouldn’t work? It seems to me that the jelly ought to set up just fine regardless, but as I said, I am not an expert so I wanted to check. My problem is that I used less sugar 4Cups then required and also water processed instead of letting it cure without water bath. It didn’t set. Do I have to go back and add the extra 3 cups of sugar and additional pectin too? Just want to make it set and do not want to change expectations. Can I salvage this? Also is the lemon juice necessary? Annie, jam needs both sugar and lemon juice to set. If you reduce or omit items from a recipe, of course it’s not going to work! I’m not sure if you can take your adapted recipe and restore it to a jam state. So sorry! I have had peach jam set without added the lemon juice. I’ve had the problem of poor seals due to my not screwing on the bands quite enough. I’ve done this twice (you’d think I’d learn!) and each time reprocessed the jelly in a hot water bath without changing the bands or lids because there was no introduction of air- I realized the bands weren’t tight enough before they cooled down completely and so reprocessed in a hot water bath. Both times the jelly went liquid and didn’t reset. Do I need to reboil the jelly as well? And add more pectin or just reheat? Originally, it was setting fine, just didn’t have an airtight seal… Thanks! Diminished expectations works for me. My neighbor’s plums didn’t set up right (I think because they were so ripe), but the flavor is fantastic! I will re-can most of it, but will hang on to a couple of jars as a sauce for pork tenderloin. Thanks for the ideas! Hi there, been scouring the webs for some info, maybe you can help. I’m actually TRYING to make syrups, concentrates to be exact, to add to soda water for summer drinks. Most recipes I find are for peach lemonade, or strawberry lemonade, or anything lemony, obviously for them to be shelf safe. However, if I don’t want to use lemons (I want to use just peaches, with a bit of ginger) is it possible to add pectin (to make it shelf safe) but NOT have it firm up into a jelly? Jenn, you can make and can fruit syrups and have them be shelf stable without the addition of pectin. Pectin is simply something that helps with set. It doesn’t do anything for safety. Acid is the key component for safety. As long as you use a fruit that is high enough in acid to be canned as a jam, a syrup made from the same fruit is also safe for canning. So let me get this straight I do not need to add more sugar to my peach jam (made with Splenda) that did not set. I can just add the pectin? Deborah, these instructions are designed for jams made with sugar. Splenda doesn’t offer the same chemical reaction that sugar does and so any jam sweetened with Splenda must be made in concert with a low sugar pectin. Otherwise it’s never going to set. Thanks for the article. I hope you can help with me with my issue below. I made 12 – 1/2 pints of crabapple jelly and they have failed to set. I believe I used too much water when cooking the crabapples. I did not use any pectin as I was told it was not needed with crabapples. Do you have any ideas for saving the batch? Tammy, I’ve not made jam using pectin from crabapples before, so I’m not sure I can help you much beyond what I’ve already written in this post. I know this is an old post, I thought Id ask my question anyway. I am a high altitude canner that has yet to get a jelly to set! Do you suppose the extra 20 mins, so now 30 min processing time is the problem? This is the same issue I have when I try to can pickles. They are NEVER crisp! I have tried everything! The reason your pickles aren’t crisp is because of the amount of heat exposure they’re getting during processing. As far as why your jelly won’t set up, it’s probably because you need to cook it up to a higher temperature so that you activate the sugar enough to cause the chemical reaction that creates the set of the jelly. I am also a high altitude canner (abt 5800 ft.), and my peach jam did not set yesterday. What temp do I need to get it to? Also, my recipe only called for a 5 min. canner bath, so I added an extra minute to account for altitude. I did get a good seal, but is my whole batch ruined (for not cooking long enough)? I was reading something from Virginia Tech’s food science site. It recommends processing times of 10 min when at altitude of 1000-6000 feet for hot water bath canning. In the same 12 page article it said if processing times are at least 10 min you do not need to sterilize the jars. I am just learning and want to be extra safe!!! Thank you so much for the advice re sloppy jam.. yes the flavour is wonderful, the family don’t care too much about the texture.. homemade is far superior to shop bought any day. Just made lots blackcurrant, raspberry, and strawberry. Blackcurrant is fine, strawb and rasp very ‘soft’. I believe the reason for this is that I used slightly over-ripe fruit. The annoying thing is that I knew it was too soft when I bought it. Just couldn’t resist a bargain. False economy of course. I made zucchini jelly (really a jam) yesterday. It involved zucchini, crushed pineapple, lemon juice, sugar and a jello flavor of your choice; no pectin was called for. Today it still hasn’t set up. I’m going to wait until tomorrow before I do anything. I have liquid pectin, how much should I add? I’ve made 6 pints. Ashley, jams made with jello are a whole different animal from those made with pectin. I’m not sure that the addition of pectin is going to be able to help this one. Plums are fairly low in pectin, so they need a pectin boost in order to set well. If you follow the instructions laid out in this post, you should be able to get your jam to set. I made strawberry rhubarb jam and it doesn’t look “jammy” and some jams have a jelly look on the bottom and the upper half is cloudy and has a different texture. It tastes great however the consistency is not jammishy but not runny either. Should I redo or be patient and see what happens? Sherree, if you’re using particularly fibrous fruit, it will separate into the two layers you’ve described. It’s not going to alter from this on its own, so you can either stir each jar up prior to serving, or you can redo it. I made some watermelon jelly that didn’t set after a week. I recooked it with the directions from my Ball Blue Book- saying to add lemon juice, sugar & liquid pectin in certain quantities. First, I didn’t follow a recipe exactly to begin with and then made too much at once. Oh- I live at 6400′ altitude also. Well, it’s still not setting after 2 days. Is it ok to retry a second time? Didn’t know if you can keep retrying or you just get one “do over.” I figured I keep some of it as syrup, but still want to try to get a jelly. just a comment….my mother always said don’t try and make jelly or jam on cloudy, rainy days,,,it will not set. I find that if I try and beat that storm coming in and get my jam made anyway it willnot set. Just have to recook it on sunny day and voila…set jelly. UHHHHG! Science is not on my side today. I have been making a Habenero Jelly (jam) for years now. I am selling it to the masses today and only half of the jars are setting up. Surprisingly its the batch that I forgot to add salt to. If I could just figure out what I’m doing right! Usually I have a set jelly by the next day and if its runny, it never sets up. With each batch I do my darndest to do everything the same. I never do a test mainly because I don’t understand how. Could you enlighten me on how to do a fail safe test? David, I have no idea how to do a fail safe test. I’ve never even heard of one in the context of jam making. 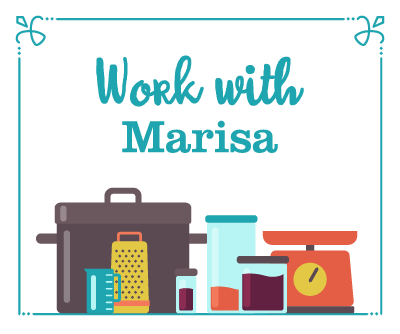 Marisa – your recipe calls for adding 1 Tbs. of powdered pectin to the jam that needs to be thickened. Do you mean 1 Tbs. for each 1/2 pint? I’ve got 8 1/2 pints of syrupy peach jam that I’d like to fix. Thanks! I meant a single tablespoon. To add a tablespoon for each half pint would make your jam fully solid. If your batch previously had pectin in it, I’d add an additional 2-3 tablespoons and boil it thoroughly to get a more spreadable consistency. I made Tomato Jam today, using 10 cups tomatoes, 10 cups sugar, lemon and ginger, and cooked it for almost an hour, then added 2 liquid pectin packets and boiled it for 2 mins. It’s not jelling! Is this one of the jams that will take a while to jell, or should I just dump it all back in the pot and boil it longer? Should I add powdered pectin? If so, how much? BTW – the flavor and color of the jam is wonderful! Hi there! I used your site to fix my runny jam (which is now set perfectly!) but I didn’t think that the lids popped after I processed them. So, I put them all in the fridge yesterday and resigned myself to eating a lot of jam over the next couple weeks. When I opened one today, I had to pop it with a can opener to get the lid off…. does that mean that it DID set? If so, can I take it back out of the fridge and save it for later?? Check your seals by taking the rings off the jars, grabbing the edges of the lid and lifting gently. If the lids hold, they are sealed and okay for shelf storage. I made apple jelly this weekend. It was thickening nicely when I poured it into the jars. Some went in the canner, and some, which didn’t fit, went into the refrigerator to can later. The jars I canned turned into syrup and have yet to thicken at all, while the jars in the refrigerator were perfect. Did I mess something up with the canner? Cook too long, maybe? I am at a high altitude, so i usually go longer. Ami, the cold of the refrigerator has made the jelly set up faster than the jars on the shelf. I’d give them more time (you could also pop them into the fridge for some time, to speed things along). Can I recan jams more then once? Can I add pectin, as recipe I went by just called for sugar? How much pectin should I use if I can can a third time? After redoing my grape jam still has not set up to my liking. Little on the thin side, sloshy when checked it for the 2nd time. Meant to ask if can, can more then twice. Miss K, I’ve never recanned my preserves more than once, so I just don’t know how your results will be if you try running the same jam through the boiling water bath canner a third time. Thanks Marisa. Was just wondering if it could be done. Was going to add pectin if I could even tho receipe I used did not call for it, just sugar, but afraid I would not be able to reprocesses a 3rd time & add pectin to help set it up a little more. This month I attempted making jelly for the first time ever after stumbling across tons of wild muscadine vines growing behind our house. 2 weeks ago I made a batch using 5 lbs fruit, 1.5 packs sure jell, and 6 cups sugar. It turned out amazing. So amazing that I went back and picked 10 lbs more of muscadines and made 2 more batches. It still tastes amazing but its definitely syrup. I feel so defeated after all the time and effort. 24 jars of muscadine syrup I now have. I was going to make gift baskets for Christmas gifts in an effort to save money this year and instead I feel that I have wasted money/time. Today after waiting 48 hrs for my jelly to set I emptied all the cans into the biggest pot I have and added 2 more packs pectin and let it boil for a few minutes. So in those 2 batches I have a total of 5 packs of pectin which is more than twice what the recipe called for. And its still runny! If making jelly is this hard I don’t know if I will do this again next year. But I would like to save what I have already made! Becca, you need to make one batch at a time. Look on our Sure Jell pack, it well tell you do not make 2 batch at one time. I have never hear of 1 1/2 packs ? Just remember one batch at a time and you’ll be ok. Don’t gave up. In the end you’ll be glad you don’t and proud if your Christmas gifts. I love your attitude. This was very helpful to my first time canning. I made 2 batches of dewberry jam today and it’s wicked runny. I’m considering your suggestion to re-heat and give it another go. Any thoughts? Dewberry seems to be sort of an oddball because I can’t find a recipe for it. Thank you. Thanks for the tips! We recanned last night and … let’s just say that the threshold between “syrup” and “hard candy” is a mighty small one! It is now rock hard, and it happened FAST! It still tastes good, and we’ll be happy to heat and eat as crepe toppings, etc. but won’t be giving this batch away. Oh, well, this IS the Mile High City, so we’ll just chalk it up to “altitude” 🙂 and try again with fresh fruit. 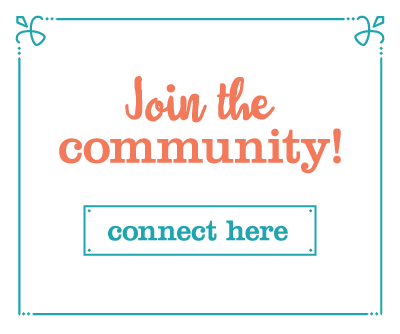 This time we’ll use your recipe – the best part of all this may end up being that it led me to your site! Dewberry is the best. I love it. Use your blackberry recipe on the Sure Jelly pack. Also add some lemon 4 teaspoon a recipe. I have hot pepper jam that I made in late October 2012. It did not set well, but the jars are sealed. Can I empty the jars and add pectin now and re-can or has it been too long? I am just sick about my runny jam. i have been making strawberry jam for over 30 years. this has really never happened to me before, so i redid one of the batches, following the instructions on the Sure Jell box. it still has not setup. i am determined to make this happen due to the amount of money and time i have spent working on this project this past week. I would like to know what i did wrong in the first place. I followed all the instructions, researched “Rolling Boil” timed for 1 min. everything, and all three flats have come out bad. not one of them have setup. Deborah, this post contains my instructions on how to save runny jam. I am so sorry that your jam didn’t set up, but I don’t know what to tell you. You might want to consider recooking it with a different brand of pectin. I find that the Ball and Mrs. Wages pectins work better than the Sure Jell versions. I was told if the strawberries are too ripe they will not set up right. I chalked it up to a batch of strawberry syrup only to find a couple if months later that it had actually set. The flavor is good and a good consistency. Next batch I made I added a few under ripe berries – no problem with setting. Hope this helps. I am convinced that the set of the jam has to do with how much water content is in the fruit. I too have made jams and jellies for close to 30 years and the fruit that I buy now seems to have a higher water content, not sugary juice. This is cause by the way the fruit is grown, i.e. constant drip irrigation like on blueberries. This gives them bigger berries, more weight. I’ve not had this problem with I use my own fruit. I purchased apricots to make jam, runny set. I have never had a soft set on apricots. I will reprocess them with added pectin, but will add some dried apricots to the mix too to try to stiffen things up. I love this blog! I put up peaches last week, and after a frustrating 8 hours that involved more than one minor injury, I was determined to get the most out of every peach. After I did slices, preserves and jam, I turned to the pits and peels and made a tea infused peach pit jelly. The flavor is awesome! However, the jelly didn’t set. So, I found out you could remake it. =) Thanks for the info. I feel like the time I spent on this project taught me something, so it wasn’t a waste. I remade the jelly and reprocessed the jars and all was well. They started pinging as soon as I started to lift them from the canner. I lost 1/2 a jar, so I threw that in the fridge to have with my toast. Great. I checked the jars at 24 hours and 1… 2…. 3… 4… 5… 6… all perfect. 7… didn’t set… again. So my question is have you ever had this happen? One jar out of a batch set, except for one. Should I just call it syrup and move on? Give it time. Jellies sometime take up to a week to set. How much time can pass before I fix or remake the jam? After a week we pulled out a jar and its runny. Can I still reprocess it or has too much time passed? Honestly after putting in all of the time & effort to make a batch of preserves, if it doesn’t set up I just can’t be bothered to open up all the jars – buy new lids – & try to cook it again. So I definitely go with the “change expectations” approach. I just make up a new “syrup” label & call it a day … obviously that’s what the fruit wanted to be all along. One suggestion that I tell my customers if they purchase a syrup or a jelly that’s maybe not super firm/set is to use it as the base of a vinaigrette for a nice fruity dressing over a summer salad. Everyone’s like “OMG that’s such a good idea! I never would have thought about that!” … problem solved. My final batch of strawberry jam didn’t set so I am going with a label that reads “Happy Accident Dessert and Pancake Topping”. Who doesn’t like some yummy strawberries on their ice cream, pancakes and waffles? I made my second batches of strawberry and raspberry jam yesterday, not setting like first batch, same recipe. I mashed them in my processor instead of by hand, do i need to add more pectin and reprocess because if that? First, give it a few more days to set up. I don’t know whether using your food processor made a difference or not. Then, if you really don’t like the consistency, add a bit more pectin, bring back to a boil and cook until it passes the set tests. Awesome! That should do it then im assuming? Pam, every batch is different, so I can’t say with 100% certainty how your batch will work. But I believe it should help it to set. I have found that using a food processor for strawberry jam changes the consistency and many times it won’t set up. I have had to re-process with additional pectin and start the canning process again. It definitely sounds like you cooked it too long. When you make blackberry jelly, you cook the fruit for a short time without the sugar. Then you strain, add sugar and lemon juice, and cook to set. You’ve got to stay on top of the set checks with jelly, because it can go from runny to solid in a very short time. I will say that overset jelly is terrific in thumbprint cookies. You can also pop it out of the jar, slice it into cubes, roll it in sugar and called it fruit candy. Jane, Perhaps it would be good with plain greek yogurt…just a spoonful? Has anyone tried the Ball Jam and Jelly maker, I bought one and love it, jam and jelly perfect everytime. It cooks in small batches, ok with me. No stirring, it does it all. Love, Love, Love it. Got it online at Amazon, can buy it at Wal-Mart. Caramelized figs, anyone? First batch of the year got bit over-cooked…decided to take it one step further. On vanilla ice cream it is UNBELIEVABLE!!! My bro and I thought the runny strawberry jellie was the best mom ever made. We used it on ice cream,angel food cake and in milkshakes or drinks or whatever else we could think up. Thanks mom for that mistake 40 years ago. I sure would like to have more of that again. I made my first small (thank goodness) batch of grape jam yesterday afternoon and it turned out runny. I thought I blended too much in the food processor and maybe used a little too much water and not enough sugar. I didn’t want it to be all sugary tasting. This morning, I made a peanut butter and jam sandwich, but figured I needed more jam, so I but some in a bowl. It was fun to dip! After reading the comments about too runny jam, I’ll let it set another day and check it. If it isn’t set, I’ll re-cook and add more pectin. Hello! I usually follow all the steps but this time I forgot to bathe the jarred jam, is it recommended that I re jar everything or can I pop them in hot water now? I, too, have made pear preserves this late summer with setting problems. I’ve been making pear preserves (the old country kind of pears) for YEARS and I’ve never had this kind of problem. Also, we’ve never had this much rain, so I am guessing the extra moisture in the pears has reduced the amount of natural pectin that occurs in fruit. The first batch we just went ahead and canned and they are tasty but more syruppy than I would like. The second batch, I cooked longer and harder, but still was more runny than normal. So today, I’m making a third batch! I’m going to cook these at a higher temp and get them good and amber, and then add a little powdered pectin to see if it helps. Hi there, I made guava jelly well any jelly for the first time ( worked very hard at it) but it never set. Unfortunately I was made to feel quite ensucure about it ;( and needed to find away to fix it( for my own commitment to the jelly) that’s how I came upon u. I will be resetting the jelly tomorrow but I have to say thank u!!!! The things u said and the positive support u give was very moving!!! “Don’t cry over spilled milk” nah… How about “Don’t cry over runny jelly”;)) thanks again!! I made concord grape jelly, and it set beautifully when I tested it, but the canned versions are runny. I had a half of a pint left over that I didn’t boil with the rest of the cans, and that one set perfectly. Can something go wrong when boiling the jars? Any help would be appreciated. Eric, I just had a similar thing happen with our concord grapes. I actually made 2 batches earlier which set beautifully – my husband hand-pressed the grapes through a colander. We then got a food mill from Lehman’s because we had such a big grape crop this year and the two batches I made more recently both failed to gel and are clearly runny. However, there were “leftovers” that did not get processed (we use a steam canner, not a water bath) that had gelled beautifully, as you said. So it was a surprised to us that the ones that were processed were runny. There are several factors to consider here: first, our grapes may now be more ripe, less acidic and more sugary than were the earlier batches, and maybe this affected the sugar/acid/pectin balance; second, we used the food mill instead of pressing by hand which yielded more juice with less effort, but maybe this means we should have used more pectin than we thought (though we went according to the proper amount); third, it is possible that the jam that went into the jars that got processed came from the center of the pot whereas the last amount “leftover” came from the edges which might have gotten heated a little more or longer – in other words, there may have been uneven heating in the pot and the main bulk of the batch simply didn’t get hot enough for the pectin to properly react and set. We are using Pomona’s low-methoxyl pectin because it doesn’t require as much sugar, so I’m not sure how best to recover from this unfortunate problem. I plan to reboil each of the failed batches and add more of the low-methoxyl pectin mixed in with a small amount of sugar – I don’t want to add too much more sugar though because it’s not so good for health and we don’t care for really sweet jams. So, in short, I don’t think the problem arises when boiling (or in our case, steaming) the jam-filled jars, but arises from some factor before you filled the jars. I just reprocessed my grape jelly. I wasn’t too sure if 1 tablespoon of pectin was enough for 6 small jars of jelly pints. I used a candy thermometer to boil jelly to 220. I do hope all this cooking a 2nd time works. I’m not getting the ratios here. 1 tbsp of pectic powder to every 1 jar of jelly? Or maybe 1 tbsp of pectic powder to every 2 quarts of jelly? Just not sure I’m understanding your ratios above. Thanks for clarity. I’m not operating on a ratio basis in this post. The suggestion is simply to add a little more pectin and heat back to a rolling boil. Larry, there’s no one size fits all approach to the amount of pectin you add when recooking your jam. You start with a bit more and cook. Check the set and cook some more. If it’s not setting up, you add a little more pectin and cook awhile longer. i have a batch of Habanero Apricot jam, well what was supposed to be jam. it is like syurp. They have been sitting in the pantry for about 3 months, is it all right to open and redo them? I made a double batch of strawberry jam yesterday. I made a mistake and only included 7 cups of sugar not the required 14. I put in 2 boxes on pectin and 10 cups of crushed strawberries. Is there a way to salvage this batch? Thanks. Thanks! My first attempt yesterday and I ended up with floating fruit in a syrup. I think I did not cook it near long enough but today I redid it in smaller batches and it came out much better. I had the exact same experience 2 days ago with my strawberry jam. I used liquid Certo, and I guess I used too much fruit, or maybe too ripe. I had the floating fruit in syrup too. I reprocessed it with powdered pectin (2 Tblsp for 6 cups of jam). I lost a whole jar in reprocessing – not quite sure how that happens…but it held together this time after waterbath, no separation. I’m patiently waiting to see if it jells. Good Afternoon, I made blackberry jalapeno jam. When I originally made it, on Sunday the 13th it was spicy, so I processed it. Today, Thursday the 17th, popped open a jar, not spicy. Do you know if a can I open and re-process the jam? Made Green Tomato Raspberry Jam with raspberry jello, but it didn’t gel. Can I remake it and add another box of jello? Linda, I don’t make jam with Jello and so can’t advise in any way as to how to make it work. So sorry. Does this process also help thicken Freezer Jam? If I do each step except resealing the jars? No. Freezer jam is a whole different story. I canned grape jelly a week ago ….they all sealed within 20 minutes. But they did not set up well (runny). Is it too late too open them and cook with more pectin and reprocess? I did go ahead and put a jar in the fridge. It jelled up some but still not to my liking as I wanted to give some for gifts. It is not too late! Open up those jars, add a little more pectin, and recook away! I made corn cob jelly again this year. Last year it was great. This year after boiling and adding more pectin a second time it still won’t set up. Can I yet again reboil and add more pectin. I used sure jell and won’t do that brand again. I don’t have anymore sweetcorn left to try a new batch. This weekend I made Texas Jalapeno Jelly which called for liquid pectin. I followed the recipe to the letter and I’d say I’m about 70-80% there in terms of consistency, but I was still not able to achieve a solid set. Did the plate test, got the film on the top, etc. and it just not “there”, you know? Can I recan this with the powdered pectin as you suggest in your post or should I use liquid pectin as that was what was originally called for in the recipe? You could try to remake it with powdered pectin! Next time you make a recipe that calls for liquid pectin, make sure you’re using the Ball brand and not Certo. I find that it works much better. I have just made ( what I was told was cherry plum) was told not to use pectin as it was in plums, but it hasn’t set , I have put it in jars to see if that does the trick? I did wonder if I did to large a batch, have you any thoughts? HI, I had the same problem,I used pectin that expired and also made the mistake of adding water to it which wasn’t called for, its good to taste but Its runny. So what do I do make it thicker? Its sweet enough. Help. Follow the instructions in this blog post to remake your jam! I made a whole 12 jar batch of jam and for the first time ever it came out like syrup. Found out afterward that my pectin was expired. When I recook, should I only add the tablespoon as you suggested, or should I add in more since I know the original stuff was bad? I had 12 cups of juice. added 2pks sure jell. 12 cups of sugar. jelly did not jell. how do I redo jelly. Vianna, you should divide the remaining jelly into two equal batches (because 12 cups is too much for a single batch) and proceed with the instructions in this blog post. I canned plums about a month ago. I was impatience and didn’t wait till I KNEW it would set. I canned it anyway. Can I reopen now and cook it for a bit longer ? Advice? Hello there …I canned 6 pints of concord grape jelly in late September (2014) using fresh ripe concord grapes from Port Clinton, Oh .. when the jelly failed to set up I remade it again after 24 hours… I waited another 48 hours and still my jelly did not set up so I remade it again each time using more pectin as instructed in the remake directions… I did the sheeting test and the set looked good so I finally thought it would set, however, it never really did… After all this time (6 weeks) I still have “loose” preserves .. My question is, can this jelly be remade again, or should I just throw in the towel and settle for what I have…. please help ! If you’ve remade it a couple of times, I’d probably stop and accept it as-is. You’re probably not going to get a very firm set. I made a batch of blackberry jam ….. it came out runny however, i canned it anyways, i heard it can take some time to set up, however, i placed some remaining jam in some jars and i had not put throw the canning process. is it two late ? its been about a day and a half? You could still can the jam that you didn’t process. You’d just open up the jars, reheat the jam, funnel it into warm jars, and process as normal. My jalapeños jelly was more like syrup..but that’s ok. I just used it differently..
And about 6 oz jalepeno “syrup” & drop or so of liquid smoke..mixed it good..
And voila…just as good as bacon wrapped cream cheese stuffed jalepenos!!! Strawberry jam turned out more like “poached strawberries in syrup”. figure out the ration of pectin to fruit? I’m pretty exacting in recipes, and now I have 8 jars of “strawberry syrup” and followed the recipes to a “T”……….. I know that not many guys post on these sites, but I’m single and learning how to do “stuff for myself”. Both batches of pickled turned out GREAT, so I don’t know what I did wrong here with the jam. What does the width of the pan have to do with it? The wider the pot, the more surface area you have for evaporation. 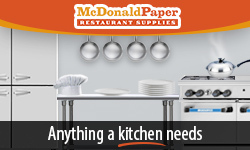 That means a faster, more efficient process of cooking down your product. Started canning last year and had great success with applesauce & fruit butters. Yesterday, I cooked up the strawberry jam (sat in the frig for 24 hours w/2 cups of sugar) and ended up with very thin jam. Decided I didn’t cook it down enough prior to adding the pectin; dumped it all back in a 16″ frying pan and let it cook down more. Back in the jars, processed it up and still have a thinner jam then preferred, but at Marisa’s suggestion on an earlier post – it will be labeled strawberry syrup – might add the word rustic. The taste is wonderful; my city’s altitude is just under 4000 ft (processing times are adjusted accordingly), I am fully prepared to have, at times, different results. My friends and family have yet to show any disappointment and have no issue with sending emails that a replenishment would be appreciated. 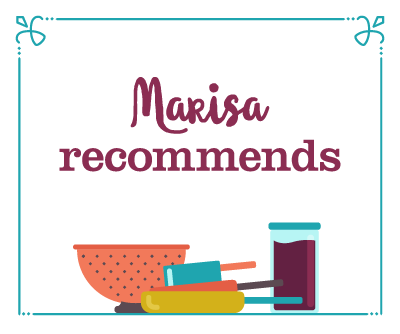 Thank you Marisa for all the guidance you offer – have both books and love them!!!! Hooray! So glad to have helped you embrace the variability of fruit! Did you cook the batch for too long after adding pectin? If the recipe says to boil for 1 minute after adding pectin, don’t boil for longer than that or the pectin breaks down…I found out the hard way! The book Jam On page 39. I know this is cryptic but its to long to list how to do it. I did to batches and both are perfect. Today I canned the same blackberry jam for the third time. It looks great and acts great in the pot, but after I process it in the canner, it looks runny again. The first time I waited 48 hours and today’s I waited 24 hours. I’ve make blackberry jam for years and have never had this happen. Can you tell me what might have caused this. I used the same pot each year, I had fresh pectin, and I used the same recipe that I have been using for years. It could be that the blackberries had a higher water content than the ones you used in years passed. It could be that the pectin company changed their formulation. It could be that the day was more humid than years past. This is why it’s always good to check for set prior to canning, because there’s always going to be some natural variation. See my above comment. When I called the Sure-Jell hotline, they said sometimes it’s the acidity of the fruit that keeps it from setting up. I’m going to try the method above again, and see if it works. I’m crossing my fingers. P.S. When I called the Sure-Jell pectin hotline, they also apologized and they are sending me coupons for two free boxes of their product. I thought that was fair since I have a lot of money invested in the jam so far! I’d hate to throw it out. Give it time to set up again. Sometimes it takes a few days to return to set. That happened to me as well, I will try to be patient and give it more time to set. Thank you for comment. I was trying to save time, I thought, by making all of my apple jelly in one cooking. When it didn’t set after 24 hours I was told to re-cook it again and add another box of surejell. I started with 21 pints from the first cooking and am down to 18 pints after the second cooking. If it does not set this time do I just tell everyone to enjoy the apple syrup? The size of your batch is the problem. Try dividing it into smaller batches. I have a batch of wine jelly made with liquid pectin that has failed to set. Can I use the method I see on your webpage and simply heat it in a wide pot and stir in a Tablespoon of powdered pectin? Is it possible to mix pectin types and still obtain a set? You can try it. My method works best with jams that have some fruit fiber in them. It’s not as effective with jellies. I am have the same issue with runny grape jelly. I have tried twice to thicken it. I am brand new at canning so I think I will label it syurp for the grand baby and move on. I made wonder pickles and salsa but the jelly thing is an art form. I am having the same problem. I have 9 jars of grape jelly that did not set. want to fix it, but not sure how to go about it. hope you have luck with yours. I made High bush cranberry jelly and it did not set..twice. I added more liquid pectin and brought it to a boil again. No luck. So frustrating. So many different ways to make it. Boil after adding pectin, don’t boil. Which is the correct way. I have done both. I made apricot jam with a recipe that called for no pectin. It is all very runny. Can I save these. The taste is great, but they did not set. You can recook it and add some pectin if you want. Follow the steps laid out in this post. I was thrilled to find Canning 101: How To Save Runny Jam. The beach plum jam I prepared is a candidate for the thickening recipe, but I’m not sure how much powdered pectin to use. I have 12 pints to thicken (24 1/2 pint jars). Is the one tablespoon in your recipe enough? Thank you! That’s a huge batch of jam! I’d probably use 3-4 tablespoons for a batch that size. My original suggestion of 1 tablespoon was for a batch of 3-4 pints in size. when remaking the jam are you using regular fruit pectin or no sugar pectin? Hi! I made a cranberry strawberry jam and my second batch is a bit runny. I’ve already processed it in the water bath and I’m waiting until tomorrow to see if it’s still runny. But if it is, can I open the jars and reheat and add more pectin? I used sure jell liquid pectin, and it’s four pints of jam. How much liquid pectin should I add? Thank you! Margaret, I made strawberry/cranberry jam yesterday too! I was using a Christmas jam recipe that I used last year with good results. This year’s batch turned out a little runny, although the taste is wonderful. I doubled the recipe, which I read now is a “no no”. I had about a cup and a half I did not have a jar for, that I was keeping in the refrigerator for personal use. I boiled it u til it reached 220 degrees, using a candy thermometer, while stirring continuously. I then did the plate test as described on this site, and it seems to have done the trick. It did get noticibly thicker, so I will wait and see. if it worked, I will buy new lids and reboil my jarred jam to 220, reseal and process in a water barh. Good luck with yours! It’s true. Because it’s more of a technique than an exact formula. You reheat it with some additional pectin and see how it’s starting to set up. If it is still reluctant to set, you cook longer and perhaps add a little more pectin. Hi I made 2 batches of strawberry jam and neither have set right they are soupy. How much liquid pectin do you recommend I use basically I have 6 quarts total to fix. I made an orange jelly batch last night and the recipe says to wait 24 to set. The 24 hours are almost up and it’s still pretty runny. I’ll go ahead and wait 48 hours and see if it sets; if it doesn’t, i’ll attempt to reheat and add pectin. Due to work i won’t be able to be home til a day after, will it be ok to wait an extra 24 hours after the 48 before i attempt to fix it? That is fine. I’ve waited weeks before remaking batches of jam. so glad to see this comment! i have a batch of strawberry rhubarb that didn’t set up the way i wanted it to, although the jars did seal, and i’ve been ignoring the jars, as if that would make the frustration go away. 🙂 good to know it’s still okay to remake. Frustrated! I have been canning most of my life and never had a problem. I am making peach jam, as I have for years. The only difference, this year I used liquid pectin and my jam won’t set! I am looking at 757 peaches that will rot quickly! I can’t use the powdered pectin as I get violently I’ll from any kind of artificial sweetener IT’S IN ALL OF THE POWDERED! When did they start using this poison? Does anyone have a suggestion? Thank you! Debra, did you know that you can use Pomona’s Universal Pectin? It’s activated by calcium water not sugar so you can use little to no sugar and there’s no artificial sweeteners in it!! Give that one a try. I never heard of it until this year and my orange marmalade is syrupy. It’s awesome! You can just add a little honey or anything and also you only use a couple of tsp for a batch of fruit!! Hope this helps. I tried making apple cinnamon jelly. I followed the directions and I can’t get it to thicken. I tried adding more pectin and it’s not thickening.. Any ideas this is the third time trying.. Without knowing the recipe that you were using as a starting place, I can’t even begin to attempt to help. So sorry! Do you know will this work with a freezer jam recipe? I used a different pectin than normal and didn’t think the prep would be different – read after the fact that it was different and now have runny jam. I used Ball Classic Real Fruit Pectin. Thanks in advance. Freezer jams are an entirely different beast. These tips will not save freezer jam, because it’s an uncooked jam. My head is spinning. I made 3 batches of jam. The first one perfect. The second ok. Third, runny. I’ve been reading directions for ‘remakes’ and came across yours which seems to be the easiest. But I’m confused. Others call for water, more sugar, lemon juice, pectin. I feel this added sugar is too much. I see you add only pectin. Will it work? There is no perfect solution to remaking jam. This technique works for me, but honestly, I can’t promise that it will work for you, because there are no guarantees in life or jam making. It worked! I’ll admit I was a bit apprehensive to try it. But it was either that or syrup! My jam came out just right. I reboiled each batch, added the pectin and this morning my jam is great. Thank you Marisa. I’m glad I came across your site! can you fix jelly ( that did’nt set ) the same way you fix jam . Can I do this same rescue with liquid pectin? I don’t recommend it, because you have less control over the amount of pectin you end up using. Can I use this method of I started with liquid pectin ? Is there a companion post for jam that set up too firm? I used the recipe on your guest post from Todd Van Atter, for blueberry jam, and it is SET. (I was suspicious of two packets of pectin but I’m a new canner so I went with it. Oops!) Any advice? I have a question… I made my first batch of jam tonight but the recipe didn’t call for a water bath processing. I had hot jars and lids (not boiled lids), and I used boxed pectin in the recipe. I didn’t use as much sugar as the recipe called for, which I think now was a mistake. I added probably 3 cups of sugar instead of 4 cups. It seemed like a lot of sugar and tasting the jam while cooking tasted really sweet. It’s only been an hour since I finished making the jam, but my jam isn’t setting. I am nervous it won’t set! So if it doesn’t set, I would like to try to re-set it, but I am not sure how long to process it for. It’s Strawberry Saskatoon jam. Can you help me? Thanks! new to this site and it answers all my questions – Great ! I made a tomato jam recipe that didn’t call for pectin. I was skeptical about it thickening enough but people were saying it turned out great so I tried it. I should have listened to myself because it’s very runny after 2 days…even the partial jar I put in the fridge is still runny. Can I use this method to thicken a jam that didn’t have pectin added to begin with? Instead of reprocessing, could I just heat the jam and add some pectin every time I open a new jar, then just keep that jam refrigerated? I used half pint jars, though, so that might be tricky. I don’t think that this approach would work for tomato jam. Most tomato jams thicken through reduction, like fruit butters. You say to add 1 TBSP of powdered pectin to the jam – but exactly how much liquid would be in the pot? 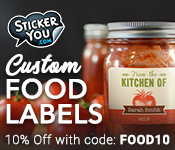 There are many recipes out there – each one with difference jar sizes/amounts. Would it be 1 TBSP to 8 half pint jars? Also, it this no sugar required pectic or sugar required pectin? I have both on hand. I am planning on reprocessing my jam tonight so this information would be very helpful! I use 1 tablespoon of conventional fruit pectin (the one that needs sugar) for an average sized batch of jam, which to my mind is one that starts with between three and four pounds of jam. However, there are a lot of variables here. Was this a low sugar batch of jam? If so, this approach may not work. Unfortunately, there’s not a lot that you can do at this point. Call it peach sauce and move on. I worked for 10 hours yesterday trying to make peach jam…my husband had gotten up early and peeled ALL the peaches, thinking he was helping me. I had 3 pots going all day long, one I was doing 1 batch in at a time, 1 had 2 batches at a time, and 1 had 3. I used liquid pectin for all. I never even water bathed them because I was falling asleep! Now I wake up this morning and none of them are set. I am new to canning jam and had no idea making large batches wouldn’t work. I have 60 quarts and 11 pints!!! Do you think I can fix them? You’re going to need to separate out the batches and cook them down in smaller quantities. I just canned some peeper relish that required 16oz of liquid certo. I made a big mistake and only used 5.7 oz (what a dummy!!). I processed the jars and didn’t realize my mistake until after. I realize that the relish will be more runny, but will the relish still be preserved ok with the smaller amount of certo? I don’t want to poison anyone…thanks for any help you can give. Pectin doesn’t make something safe or unsafe, so your relish is fine. I’m surprised that you have a recipe that calls for 16 ounces of liquid pectin, though. That’s a hell of a lot of pectin. Reading through all the comments I see that you don’t recommend this method for jellies that had liquid pectin in the original recipe. Is there absolutely no hope for those? Could you point me to any other post you might have done covering this. The recipe I followed for rhubarb/habenero pepper jelly had a yield of 13 half-pints and I was counting on them being Christmas gifts but who wants syrup like that? Not a very useful product. Sad Canner Face here. Pomona’s from here on out, no more liquid pectin recipes! You didn’t kill anything. Liquid Certo is simply crap and doesn’t work anymore. I made 2 batches of strawberry jam (using the recipe included in the MCP pectin)… neither one set up :(, tried the ‘reboil, add a box of dissolved pectin) fix as per instructions… 1 batch set, 1 did not… now I’m not sure what to do?… just reboil 1 more time ?… add any more pectin? How big are the batches you’re making? Try using a low wide pan and dividing the jam into two pans, for better evaporation. … so just bring the jam back to a boil for …1 or 2 minutes??? You need to boil it until it thickens. One or two minutes isn’t going to be enough. Cook until the temperature elevates to 220 degrees F. That’s the point at which sugars thicken and bond with the pectin. I’m just relieved to know it’s safe – this was my first attempt at jam and I was planning to give the jars as gifts. I’ve been online trying to find out if the texture meant my food wasn’t safe (the jars sealed just fine and I boiled them the whole time the recipe said to boil them). Now that I know my runny jam won’t kill anyone, I’ll just add some chocolate chips to the gift box and call it “ice cream topping”. Unfortunately, I really don’t know. I don’t use a lot of Sure Jell. I typically use either Ball or Pomona’s Pectins. I tried to make cinnamon apple jelly with red delious apples. I measured 5 1/2 quarts of juice after straining the apples. I added 4 cups sugar and a box of or one package of Sure Jell and cooked the sure jell for 1 minute and mixed it in the apple juice. I checked the temperature at 220 degrees and removed from heat and added 2 drams of oil of cinnamon and stired real good and filled 8 oz jars a 1/4 inch from top and placed the seals and bands on tight and waited for the jars to seal. All the jars sealed, but none of them set. I went to bed for 7 hours to set. I got up this morning at 5:15am December 2 2016 and none of them set. How can I make this right? I was hoping to have Christmas presents made from this jelly and now I have nothing but runny solution. HELP!!!!!! My crabapple jelly always comes out gooey. It’s not runny, but it is thick like honey. My other mainstay is chokecherry jelly which always results in a very nice firm set. I used sure jell pectin and used their recipe in their pamphlet. 7 cups of juice and 9 cups of sugar for one box of pectin. I gave it a hard rolling boil for 1 minute with the pectin in the juice and then another rolling boil for a minute after adding the sugar. In years past I always have trouble with my crabapple jelly. I tried different combinations of sugar, pectin and juice, but it always is either runny or pasty. what can cause this type of gooey set in fruit jelly? I’ve not made that particular recipe and I’ve not encountered that gooey consistency before in making jelly, so I just have no idea. Here are two more questions, just to eliminate some variables. How closely do I have to watch the pH? should I buy a pH meter? I have read that pH can affect the pectin, which is why some recipes call for lemon juice. Once I add the sugar I don’t need to cook it to the gel temperature do I? I think you are not supposed to do that when using added pectin. I made a second batch of the crabapple jelly from the same juice. This time I added about half a box of no-sugar pectin along with the box of regular pectin. I wanted to add pectin, but I did not want to add more sugar. This seems to have worked. The jelly from this batch is firm after setting overnight. I guess since I was using very ripe fruit the amount of natural pectin was lower than what the recipe was made for. I made wonderful guava…. glaze. It was supposed to be a jelly, but it didn’t set. I followed your fix above, to the letter, and it still didn’t set. It’s thicker, but it didn’t set. So, now it’s a glaze. On the label it say’s “glaze.” That’s my story and I’m sticking to it. I lost a jar of whatever in the boiling process of my fix, so I’m not going to try again. I will suggest brushing the glaze on porky bits or on fruit instead of melted apricot jam. Right now I’m listening to the wonderful “ping” or “pop” of the seal of jelly jars fresh out of the canner. I had a few bottles of left over wine. I measured them and then reduced them to the 3.5 cups called for in my recipe (from Ball). In the reducing wine I added some rosemary and bay leaf. Once I was down to 3.5 cups, I proceeded. Gosh, there was half a jar left over. I just took a taste of warm jam. It will be fabulous with cheese or as part of a glaze on meaty bits. How long can I wait before trying to fix my jam? I made a batch before Christmas and it never set up right, but it was processed and all jars sealed. I was going to fix it the next day but both kids got sick, then my 4 year old broke his arm, and just with holiday craziness I didn’t get a chance. Is it too late now to open them all up and cook again and add more pectin? There’s no limit on time. You can fix it any time you want. Okay thanks! That’s what I thought (and hoped), since the jars had sealed, but wanted to make sure. Thank you!!! My mother is trying to make pear preserves and they’re too runny. She doesn’t use pectin. Is it possible for her to get them to thicken without it? She could try cooking them longer. Unfortunately, pears are naturally low in pectin, so it’s hard to get them to set up firmly without additional pectin. I am a novice jam maker. I’ve made several batches over the years, some have set, some have not, and I cannot seem to perfect the science of the process. One of my points of confusion arises from how long to boil the jam. The sure-gel instructions say to bring the fruit and sugar to a boil for exactly one minute, then add the pectin, and bring to a boil again for exactly one minute. It seems that boiling too long can cause the pectin to break down. yet, many websites recommend boiling for longer to produce a thickened jam. Which part of the process do you boil longer – the first boil or the second boil? Both? Am I going to break down the pectin, or cause it to thicken? Two minutes of boiling isn’t nearly enough to get jam to set up. Boiling too long can break down pectin, but it takes upwards of an hour of active boiling for that to happen. Made a batch of strawberry jam added 1cup of lemon juice instead of 1/4 cup!! Tried adding 2pkgs of liquid certo instead of ¹. And more sugar. Is noteworthy. Can I rebook and add powdered certo? This doesn’t sound like a batch of jam that you should put any more effort into. I have eight half pint jars of strawberry jam that didn’t set up thick enough…my question is can I redo that whole batch in one pot ? And if so how much pectin should I add? Yes. Open up the jars and empty them back into the pot. As far as the pectin goes, there is no one perfect amount. Start with one tablespoon and work up, as needed. THANK YOU THANK YOU THANK YOU!!!! I’m so glad I found this! I love making jam and never had issues until this year. I didn’t know what went wrong but all but 1 of my batches didn’t set up. I later realized that it was because all but 1 of my batches were made with previously frozen fruit and I did not account for the extra liquid content. I had never made jam from frozen fruit before so I didn’t realize this would be a problem. I tried your method because all of the other methods I found wanted me to add extra water and/or sugar. I didn’t want to do that so I tried yours. It worked beautifully! Now instead of jars and jars of syrup I have lovely jars of jam! Oh and I mistakenly used powdered pectin to remake a batch that had used liquid pectin and it worked just fine. My husband decided to be super helpful last night after I made several batches of strawberry freezer jam and placed them in the freezer after I went to bed. They probably only sat out 3-4 hours before he did this, are they ruined? I Could use some answers/help please. Is it possible to fix a jam that didn’t require pectin with adding liquid pectin and recooking? Can one made a jelly bag and a spice bag at home, and what kind of material should be used for each, since I cannot locate a store that sells them? Fixing jam that didn’t set is always chancy. Sometimes it works and sometimes it doesn’t. You can certainly try it, though. And the best material to make spice bags and jelly bags from is butter muslin. It’s stronger than cheese cloth and can be reused more. I made prickly pear jelly but it didn’t set up – I now have 56 pints of syrup ? How do I re make it so it will jell? I’m just sick about this as I sell a lot of jelly normally but now just have this syrup? Pomona’s Pectin will not work with a preserve with a traditional amount of sugar. Your best bet is to reboil that marmalade until it passes multiple set tests (try the plate test). Used guava for the first time for strawberry-guava jam. It’s beautiful but the set is too soft. I’ve not tried recooking wwith more pectin before. 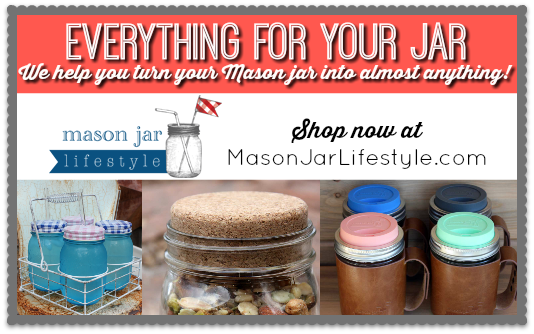 This is a lazy woman’s question – do I have to re-wash and re-sterilize the jars? I know to use new lids. Yes. You do the whole thing over again. So, this is bad, i made some hot pepper jelly a little over a month ago. It turned out runny but i had some family emergency to deal with…how long is too long to fix pepper jelly? Or do i have to settle for 6 jars of hot pepper sauce now? You can still try to remake it. Jellies are tough, though. It might overset in the process of trying to fix it. I’d probably call it a glaze and tell people to drizzle it over things. Does weather affect jam from setting up? Yes. If it’s really humid or rainy, it can make it harder to get the jam to set. It could be that your pectin was bad. Were you getting visible signs of set during the recook? I did the same too and I did have signs during the cook, so I am really confused! I just made a beautiful batch of pear cranberry jam that didn’t set. The lids sealed, though, so it’s safe, right? It’s perfectly safe! Set doesn’t play any role in safety, so even sloshy, your jam is perfectly edible. I made blackcurrant and jostaberry jam yesterday (16 jars) as the fruit had been frozen but had started to defrost as the freezer setting had been accidentally changed. Plenty of lemon juice was added but I never use pectin as it is naturally occurring in blackcurrants. Not sure if the freezing altered the pectin level but after boiling the 3kgs of fruit with the sugar and lemon juice for at least 90 min, the resultant ‘jam’ is a couple of steps up from a syrup. Tried it on icecream as a topping and it was delicious, but too runny for toast as a jam. I don’t want to reprocess the contents of the jars. All the jars ‘popped’ so have good seals. Will this ‘sauce’ keep well in these jars on a pantry shelf indefinitely, like jam would, or will it form mould eventually due to its runny consistency? Thanks. They jars are perfectly fine and will keep just as the jam would have. Consistency doesn’t play any role in shelf life. Used liquid pectin, 12ouncesvblackberry juice, 7 cups sugar, 3 double packs of pectin, brought to a boil twice. Jelly still appears runny this morning, all sealed. Frustrated but I’m going to leave it a couple days to see if it’s just slow to set. I I made 5 batches of choke cherry jelly. I put 2 jars from two different batches and one of the jars in the fridge set up but none of the jars on the counter set up…. ??? It hasn’t been 24 hours yet so I will continue to hope but can’t figure it out. So if they changed the liquid pectin would you double the liquid pectin. What amount pectin would you try for 1 pint jar? Maybe just a teaspoon or so. 1. I had processed the jars in a water bath canner before I realized I had a problem. 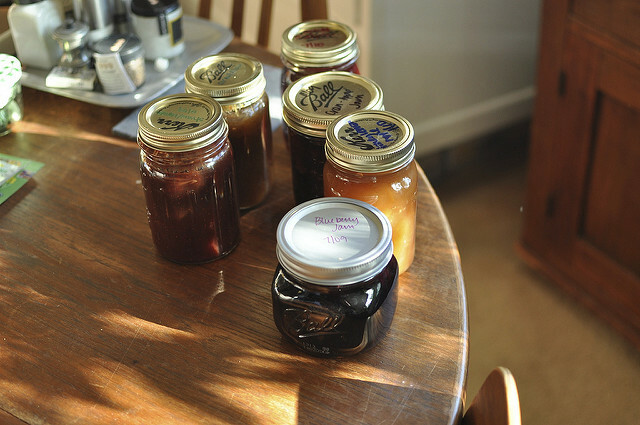 I don’t have room in the fridge for my 13 jars of runny syrup – can I leave it out on the counter? 2. Can I wait a full week to reprocess?? It’s kind of a big project and I don’t really have time to do it now. 🙁 I don’t want to get botulism, but in theory if the jars are sealed it might be ok?? I should add the caveat that I think one problem is that I may not have enough sugar. So it’s really watery. I boiled it a good 10-15 min and it wouldn’t go above 213. You don’t need to refrigerate the jars. As long as the seals on the jars are good, they are shelf stable. And at this point, you can wait as long as you need to remake it. It will hold until you’re ready to reboil it. Sometimes, I need to boil marmalade 45 minutes to an hour to achieve the temperature elevation necessary to get it to set. But if you feel like you didn’t add enough sugar, that’s probably the issue. Have you read my posts about making marmalade? These two might be of help. After you put jelly in jars do you put it in a water bath to boil?? I’ve made a lot of jelly over the years. I use paraffin in hot jars, seal with hot lids and bands. As long as the jars vacuum seal, I have kept them for a year or more w/o bad results. I have never used a water bath. The same has been true of bread and butter pickles. Paraffin is no longer a recommended sealing method. My jalapeno jelly did not set I’m going to redo it. do I need to rewash the jars and resterilize them. I always rewatch jars no matter what! It sounds like you just didn’t boil it long enough to reach a temperature needed to allow it to set. You can rework it to get it to the correct consistency. I made two batches of dandelion jelly and one did not set, even after giving it a week. Looked all over for help on getting it to set and found your post and immediately tried it. I think the second batch didn’t set because I used a tall, narrower pot. Your fix worked like magic. Thanks so much! So glad that I could be of help! This is my third batch of strawberry jame and the only one that didn’t set. I used 6 cups of strawberry purée instead of 5 cups (I didn’t want to waste them) is this why it didn’t set? Can I do the thing where I add it all back in and add more pectin? Adding more fruit could definitely the be the cause. Is there any way to fix it if mine is done but runny because I used too many strawberries? If you used more strawberries than the recipe suggested, you can open up all the jars and cook it down some more. Or you can embrace it as it is and call it strawberry sauce. Okay, I made a lot (about 40 8oz jars) of strawberry jam using liquid pectin (Certo). I doubled the first batch, but the rest of the batches were about 6 cups each (of fruit). None of the jam set properly. I set some aside to use as syrup, and reprocessed following the directions on another website. I did not add more sugar, as I was using liquid pectin, but I did add lemon juice. After about 72 hours, it still did not set. Can I reprocess a third time, and use powdered pectin? Do I have to add more sugar? Or can I just pour the jars into the pot and boil the jam longer? Please help!! On May 31 I made strawberry jam and used liquid pectin (Certo). I wasn’t careful and realized that I had twice the amount of fruit and sugar than the recipe for 1 package of liquid Certo called for. To save the jam … After I dump all the fluid back into a pot — Do I add 1 teaspoon at a time until it thickens or do I add the 2 packages of liquid pectin that the recipe called for? After 24 hours the jam has not set and the test product in the fridge is firmer, but still not set. If you used double the fruit, you need to use double the pectin. I’d just add in the total amount needed and boil until you see signs of thickening. When I made Apple jelly, it gelled on the spoon and the pan, but it did not set in the jars, I had a smidge left over and put in fridge, still syrup. Can you just boil the jars in a pot on stove for better thickness if I didn’t do that yet. No. The increased thickness comes from evaporating water out of the jam. If you boil the closed jars, no evaporation is occurring. I picked 5.5lbs of strawberries on Saturday (06/23/2018), cut them up, crushed them and used them in a jam recipe (7 C sugar, .5 Tbl lemon juice, 5 C crushed strawberries, 1 packet liquid pectin). They aren’t setting. They aren’t like WATER, but they definitely move easily in the jars when tilted. I called CERTO (Kraft, really), and the guy told me to add 3 Tbl sugar per C of jam plus 1.5 tsp fresh lemon juice and 1.5 tsp pectin. That is a LOT of sugar. First: can I just put all the jam back into a pot and re-boil, adding powdered pectin until it starts firming up? Second: can I re-use the lids, or must I buy all new ones? Third: thanks much in advance, hopefully someone can let me know ASAP. Barbara, you will need to put all the jam back in the pot and bring it back to a boil. I would use more pectin and some additional sugar to prevent the pectin from clumping. You do need to use new lids. Thank you Marisa! Must I re-boil the jars, or just the new lids? I’ve already got the jam in a big pot, will add a bit more sugar (probably 1/4 C) but the glass jars haven’t been re-boiled. I hope that’s okay! You have to do the entire canning process again. Boil jar, warm jars, wash new lids, and proceed. I made a double batch of strawberry jam last night and only after processing realized I did not double my sugar. The jam is predictably runny. I DID double the pectin appropriately. When I redo, do I add the full amount of sugar that was missing? Do I add even more pectin even though the amount already included was technically right? I made cherry jam according to recipe in the Ball Blue Book. I added my sugar to the cherries and got that boiling and then realized I had powdered pectin, not liquid. Looked online to see if I could substitute and got the conversion raster, but it said powered had to be added to sugar from the beginning. Now my jam is mostly liquid with cherries floating on top and not gelling at all. It’s only been about 10 hours so I know I need to let it set but I’ve got a feeling nothing is going to happen. Can I start all over again? I have no need for cherry syrup! I have the same problem as Trudy Hoffman, comment #167. I made mustang grape jam and it jelled on the plate and spoon. After the water bath, the jars sealed perfectly but the jam is now very liquidy. I plan on redoing it, but why would it turn back to liquid from the water bath? Hi Marie! I just wanted to Thank You for all the answers you provided everyone! Must take up a tonne of time, you are appreciated! You’re welcome! I do my best! I made some peach jam and let it set over night and it did not set right, still a little runny. I want to pour it back in the pot and redo it, how much more pectin should I add and should I add any more sugar or lemon juice to get it to set right? Also when I reset the lids and rings back on how long should I boil the jars ? Audra, I just rewrote the instructions in that post to be more clear. It now tells you exactly how much pectin to use for every 4 cups of jam that needs to be remade. Once the jam is remade, you proceed as if it is a new batch. New lids and the same water bath process that you did the first time. Please help. SOS. I’ve been trying to make apricot jam for 4 years from my tree. Every time I try (Every year) it comes out the same. I try everybody’s suggestions on getting the jam thicker, nothing seems to work. I’m at my whitts end. Does anybody have any idea’s? Please. Are you using a recipe? Pectin? What’s the ratio of sugar to fruit? I need more detail to be helpful. I made watermelon jelly that has not set up. Its been 24 hrs and still runny. I will give it another 24 hrs but just in case it doesn’t…I used 6 cups of watermelon juice, 1 cup of lemon juice and 10 cups sugar. I used 2 boxes (4 pouches) of certo. If it doesn’t set how much more certo to I need to add? Also actually i had one box of certo left and 1 box of liquid ball pectin. Could it fail if i used 2 different brands of pectin? and if I have to reboil can I use a box of powdered fruit pectin or do I have to stick to liquid pectin? I have made two lots of strawberry jam . One is too stiff the other too runny. It has been suggested that I put them both together back in the pan and heat it to even them up.What do you suggest?